We are an organization of women committed to promoting voluntarism, developing the potential of women and improving the community. We are the JLG. 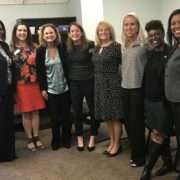 The Junior League of Greenville, Inc. engages in initiatives that help women in our community overcome barriers, focusing on human trafficking and economic mobility. Are you interested in becoming involved with the JLG? Click here for Membership Information. Shop for Greenville is a 10-day event, March 15-24, 2019 for the general public to purchase a discount shopping card & shopping guide book for local businesses. 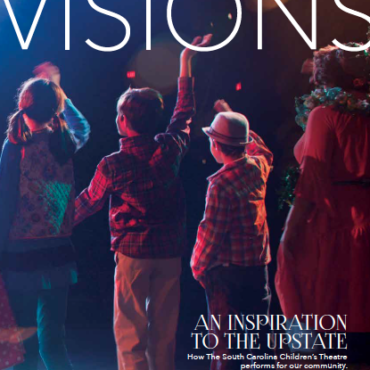 VISIONS is the signature magazine of the Junior League of Greenville. It is published twice a year reaching an audience of over 4,500 readers. The Nearly New Shop is the Junior League of Greenville’s Upscale Resale Store. Visit our Nearly New Shop for an amazing selection of upscale clothing--your donations and purchases support our community. 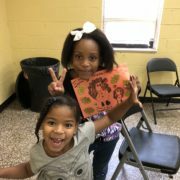 The Junior League of Greenville’s A Nearly New You (ANNY) program is comprised of JLG volunteers making a visible, concrete impact on our community as it specifically serves women and children in need. Click here to learn more. 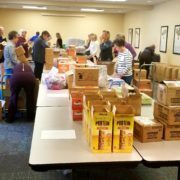 Our JLG Sustainers have completed the Holiday Gift Bag project for 26 years, benefiting the Cancer Society of Greenville. Click here to learn more. 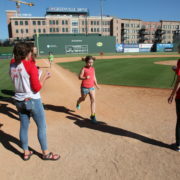 Home Run for Healthy Kids® was created by the Junior League of Greenville in 2008 to provide education on health, nutrition, and safety to children at local schools. Click here to learn more. 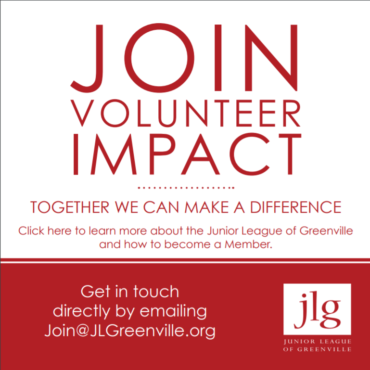 The Junior League of Greenville’s Junior Volunteers program is our newest internal program and one that promotes voluntarism among youth in the community. Click here to learn more. 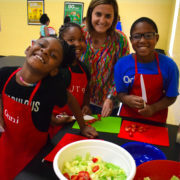 JLG has launched Kids in the Kitchen with Nicholtown Community Center Afterschool Program. Click here to learn more. Thank you for Supporting the JLG! 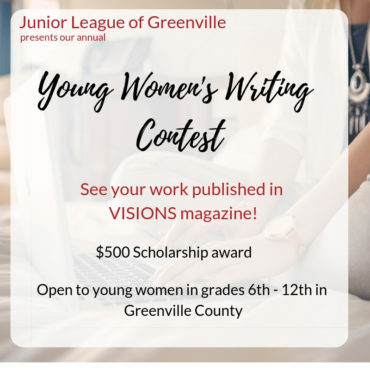 Our wonderful sponsors have generously partnered with the Junior League of Greenville in support of our mission to promote voluntarism, develop the potential of women and improve the community through the effective action and leadership of trained volunteers. Without their support, our mission would be impossible. Thank you for your support!